Ikat is a technique of partially dying yarns before weaving them to create a patterned fabric. 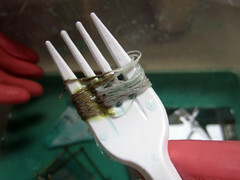 A resist is applied to the yarn before the yarn is submerged in dye. 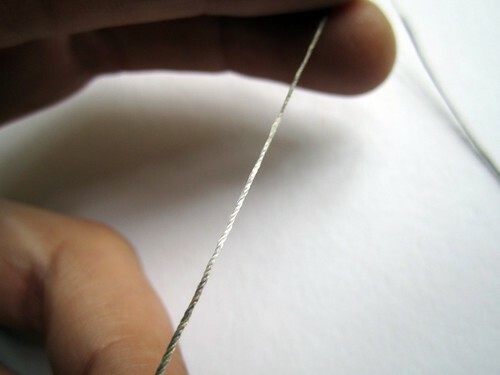 This post describes a process of etching (rather than dying) conductive thread selectively, leaving some parts conductive and others non-conductive. 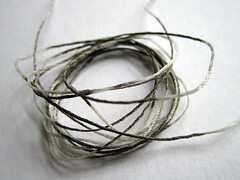 The resulting “striped” thread is then woven to achieve an irregular woven conductive fabric. 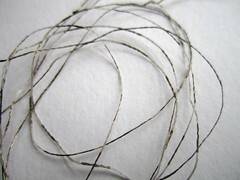 The etched conductive thread can be applied either as warp or weft thread or both. While the process in this post was done quite randomly, it can also be done so that the resulting fabric patterns are more predictable. 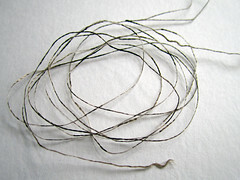 I found that the silverized nylon threads from Schieldex etched quite nicely in a salt and vinegar bath. 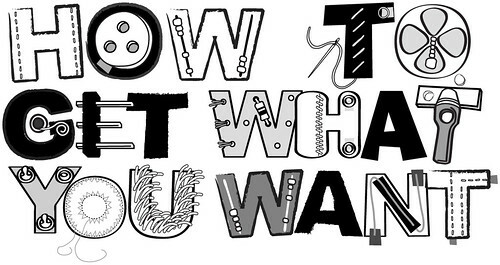 Wrap the conductive thread around an object. 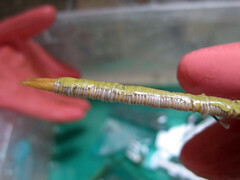 The bellow examples show toothpicks and a plastic fork. 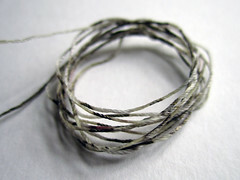 Then apply a resist such as vaseline or batik wax selectively to the yarn. Etch in bath for as long as it takes to eat through the silver. Remove and use heat from iron and tissue or newspaper to soak up resist. 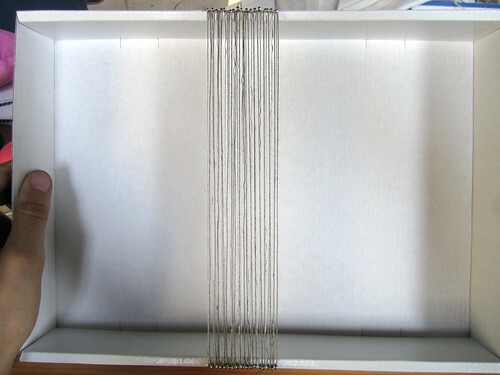 Now you can weave the ikat etched conductive thread on a very simple hand loom like the following.